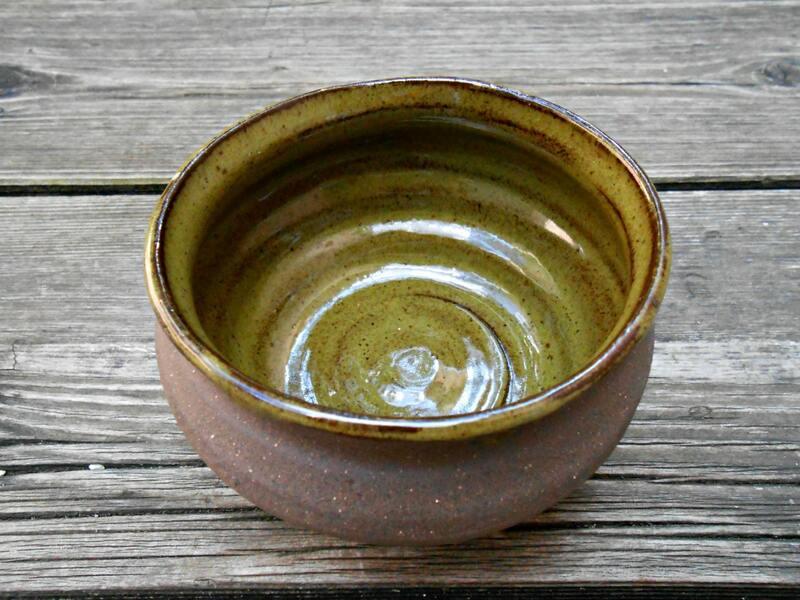 A rich walnut brown stoneware, thrown on the wheel, high fired with a luscious olive green glaze. 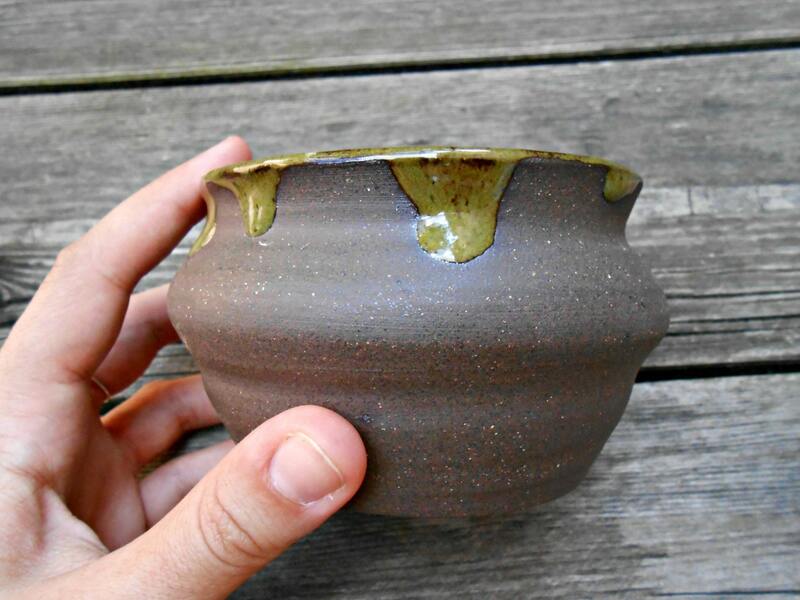 Speckling in the clay shines through the green, giving another dimension to this fascinating piece. 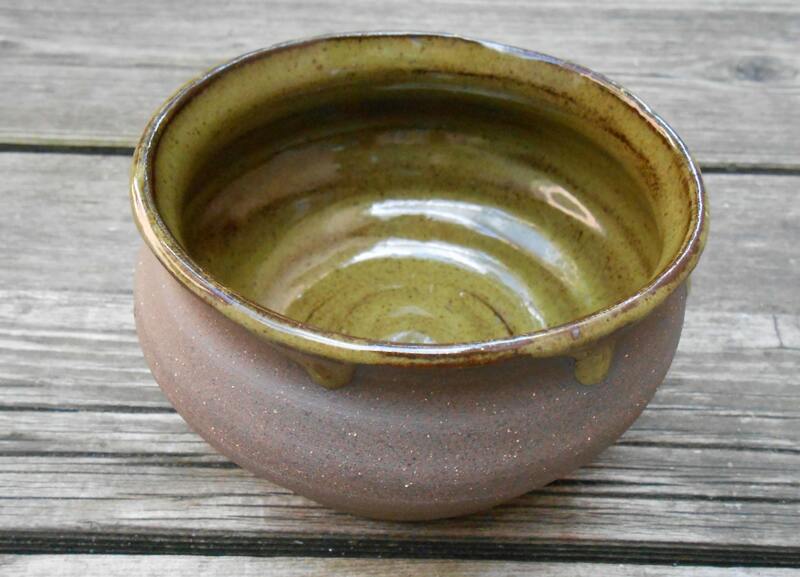 Glazed on the inside with drips running down the outside of the bowl. 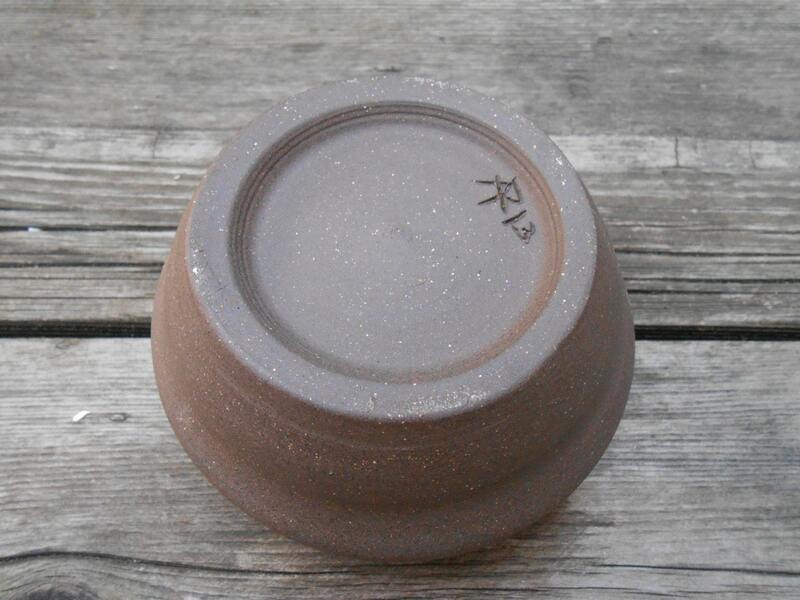 Food, oven and dishwasher safe.